2. 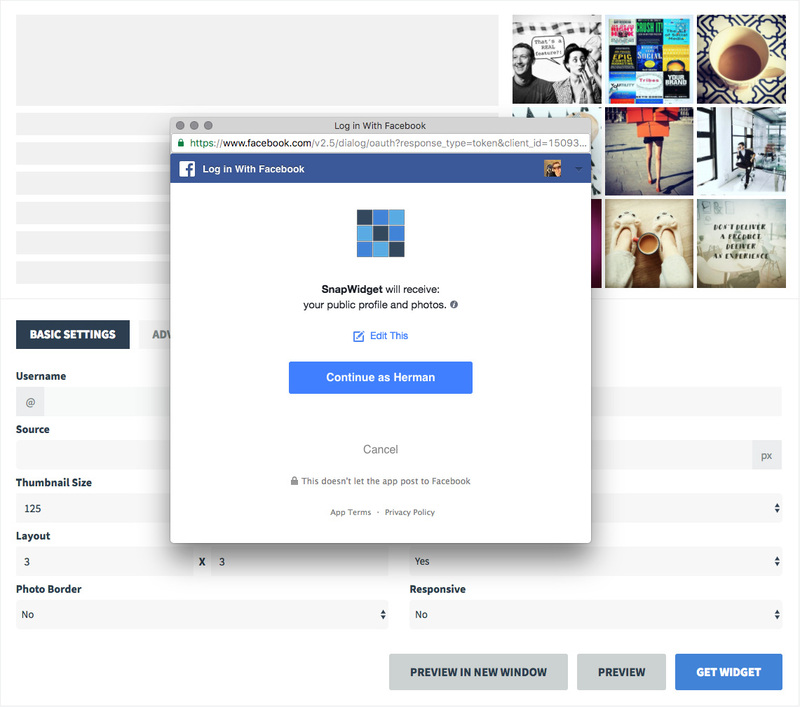 Once you’ve given SnapWidget permission to access your Facebook photos, you can choose a source to display photos from. 3. To display photos for a page, select the Page source. Then enter the URL of the page you would like to display the photos from. You only need to enter the last portion of the page URL or page album ID. 4. Configure the rest of the options and click on the Preview button to see what your widget will look like. 5. When you’re happy with your widget layout, click on the Get Widget button to get the code snippet you will need to put in your website to display your photos. 6. If you are a Pro user you can configure Advanced Settings to choose where the widgets will link when clicked, custom CSS, analytics, and lightbox displaying options.